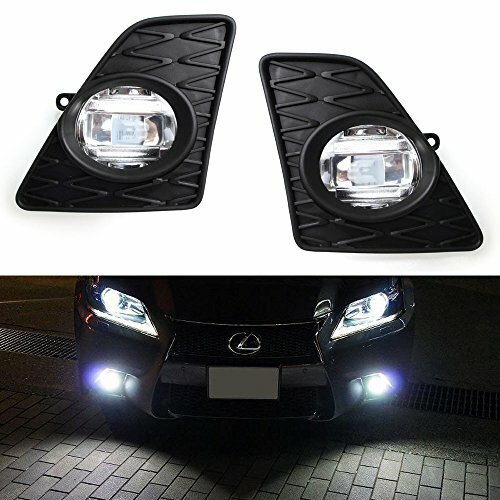 Introducing iJDMTOY's all new OEM style high power LED fog lamps for 2013-2015 Lexus GS350 GS460 GS450h with F-sport package. This LED fog lamp is powered by 3 pieces of 5W CREE emitters to give you a total of 15W! The projector lens are like the OEM ones to fully convert your USDM Lexus GS to a true Japan JDM look since only in Japan, does the Lexus GS F-Sport comes with fog lights! Good for 2013-2015 Lexus GS with F-Sport package only! If you have any questions about this product by iJDMTOY, contact us by completing and submitting the form below. If you are looking for a specif part number, please include it with your message.